My girls and I have spent more time in the water this year than all other summers combined. The sun just felt good this summer... so did the water! This photo is not of one of my girls, but it's still one of my favorite beach shots of the summer. It's a friend of mine's daughter. She is one of the cutest little girls I've ever seen! 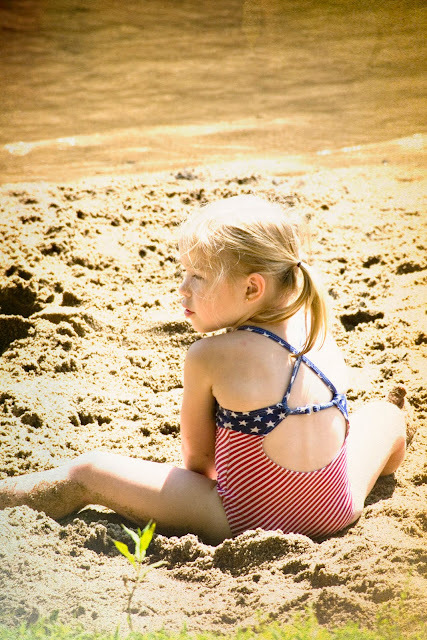 what a sweet little girl :) hope the summer brings a few more sunny beach days before it closes for the season! What a great photo - I love the processing.